​Fiber is an important nutrient that most children (and parents) are not getting enough of each day. As parents, you do your best to feed your family healthy foods, but you may need help with choosing good sources of fiber. Add 5. If you find it helpful to keep track of numbers, add 5 to your children’s age. For example, a 5-year-old would need about 10 grams of fiber each day. Note: The total daily recommended amount of up to 25 grams for adults can be used as a general guideline for children. 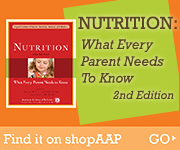 Nutrition Facts can tell you all about the nutrients and ingredients in a food. Nutrition Facts can help you choose foods that provide the nutrition that’s right for you, including fiber. Dietary fiber is a nutrient listed under “Total Carbohydrate” on the Nutrition Facts. Not all foods labeled “whole grain” are a good source of fiber. Grains vary widely in their fiber content. For example, whole-grain wheat has more fiber than whole-grain brown rice or whole-grain oats. www.nutrition.gov/whats-food - If you want to know how much fiber is in a food that does not have a Nutrition Facts label, you can look it up here!